A traditional-method blanc de noirs made from organically farmed Pinot Noir (65%) and Gamay (35%). Quebec agent: Delaney Vins & Spiritueux. 100% Chardonnay from organically farmed vines. The grapes were – unusually for this cuvée – sourced from the Mâconnais and Chablis regions (limestone and Kimmerridgian soil respectively). The whole-bunches were lightly crushed and gently pressed (pneumatic press). Spontaneous alcoholic and malolactic fermentation took place in stainless steel vats on the lees but without stirring. Racked once after malolactic fermentation. Matured 16 months in stainless steel. Fined and lightly filtered before bottling. All post-fermentation operations were done according to the lunar calendar. Quebec agent: Delaney Vins & Spiriteux. 100% Pinot Noir from an organically farmed vineyard on the south side of Gevrey-Chambertin, on the boundary with Morey-St-Denis. Mainly clay and limestone. The manually harvested whole clusters were given a short cold maceration, two punch-downs a day at the start of fermentation and pump-overs during the 18 days until the wine was pressed (vertical press). Spent 18 months in French oak barrels (20% new). All post-fermentation operations were performed according to the lunar calendar. Quebec agent: Delaney Vins & Spiriteux. A short Q&A with Pascal was held after the screening. One of the questions was about recent vintages. 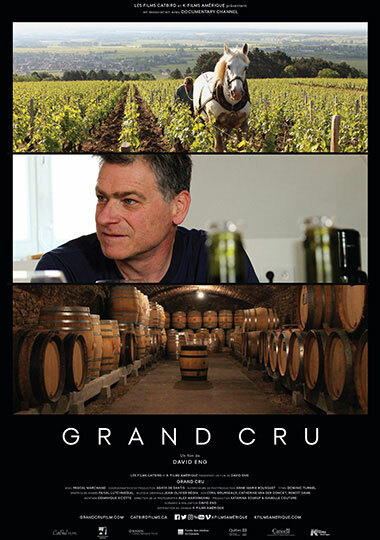 As the film documents, due to frost and hail, 2016 was disastrous for many Burgundy producers, including Pascal, though the few grapes he managed to harvest were very high in quality. Generally speaking, Pascal isn’t big on the wines from the hot 2015 vintage. The just-harvested 2017 vintage was excellent, he said, with large quantities of healthy ripe fruit. If 2018 and 2019 prove similar, we could see Burgundy prices descend from the stratosphere, a development he fervently hopes for.